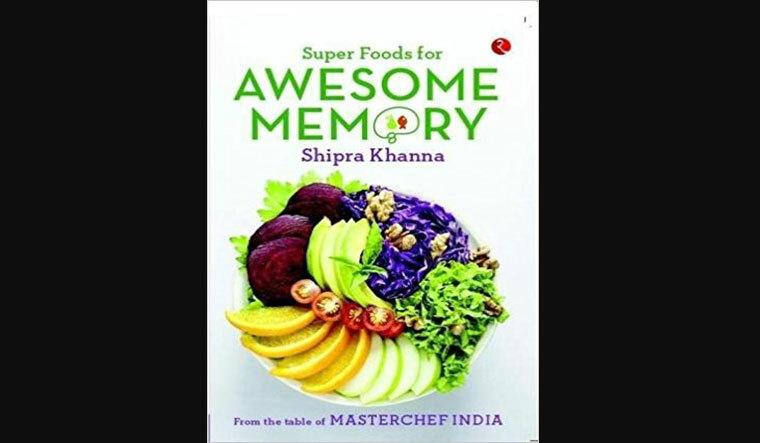 "Everything is mind over matter," says Shipra Khanna, author of Super Foods for Awesome Memory, published by Rupa. "To keep your mind in a good condition, it is very important to follow a good diet," she further adds. In her book, the author makes an effort to make her reader feel good by adhering to her advice of consuming some specific ingredients, which, in moderate amounts, will help sharpen the mind. These are what she terms the 16 'SuperFoods,' namely dark chocolate, egg yolk, almonds, rosemary, walnuts, celery, green leafy vegetables, broccoli, bone broth, blueberry, coconut oil, beetroot, avocado, extra virgin olive oil, poultry and salmon. Shipra believes that a chicken a day keeps ageing away and the consumption of fish helps one meditate. She also believes extra virgin olive oil can keep a person away from alzheimers for life and the avocado helps in "untangling the brain." More than anything else, Shipra's book focusses on the many ways in which one can and must keep her memory in check. "The memory has always been an important facet of human civilization. However, it is only in the current phase of human history that it has acquired centre stage importance. Memory plays a significant role in an environment where we are dependent on technology and gadgets more than ever, while our lifestyle is laden with stress like never before. So, you can ignore memory at the peril of forgetting your own self." The reason Shipra's book is a must-read for every person who pledges to keep her by eating right, is that she provides a no-nonsense approach to using the superfoods she lists, by way of delicious recipes she gives out for each listed ingredient. Moreover, every ingredient has four to five very different recipes, most of which are easy to make, and the ingredients simple to source. For instance, under the chapter on broccoli, which she calls "the cool vegetable," she lists six finger-licking recipes such as, broccoli and cheese cutlets, cream of broccoli, broccoli biriyani, vegetable soup, garlic broccoli and creamy tandoori broccoli, after citing a number of advantages and benefits of consuming broccoli. It is a must read for anyone who is looking for overall fitness, which, of course, as the author says, begins with the brain.